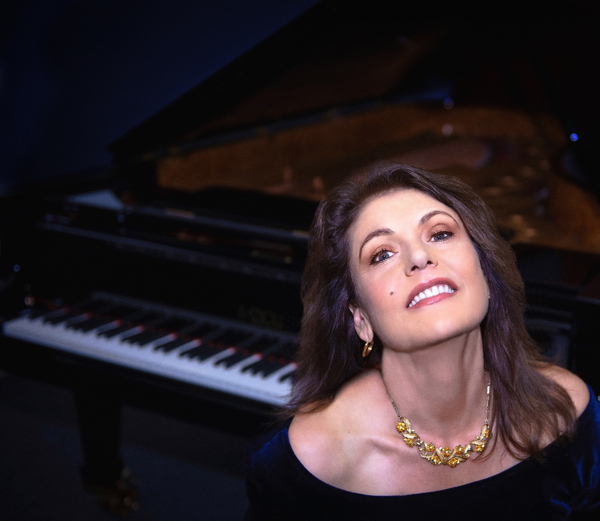 Jazz pianist and vocalist Anne Farnsworth lives in Los Angeles where she divides her time between performing, teaching, and journalism. She has toured extensively in the States and abroad both as a sideman and leader of her own trios and quartets. A 2012 Fulbright Scholar, Anne has taught at the Jazeps Vitols Latvian Academy of Music in Riga, Latvia, the University of Southern California, Occidental College and Idyllwild Arts Academy. She is an international clinician and the author of JAZZ VOCAL TECHNIQUES (JazzMediaPress 2003). Her columns, essays, reviews and interviews have appeared in Windplayer, Billboard Live, Jazz Notes, Tone Audio, All About Jazz - Los Angeles and RealTalkLA. She writes a biweekly column for Concord Music Group. Her original recordings can be heard on television soundtracks. At home in Los Angeles, she is an active participant in the club and theater scenes, serving as musical director for plays and revues and performing with her quartet. Her latest recording, SEALED WITH A KISS, is distributed by Naxos and is available for sale at the standard outlets in both regular and high res formats. A collection of '60s rock tunes arranged for jazz quartet, it features bassist Alphonso Johnson and drummer Ndugu Chancler. Johnson and Chancler have been powering rhythm sections together since their days playing with Weather Report and Santana. Available for performance,instruction, clinics and adjudication.